You will have previously read about Garry Boyce and Ken Williams’ epic ‘Adventure Before Dementia’ competing in the 2016 Rally of the Incas. Far from being the end of the story that experience just gave them a taste for new adventures in Garry’s ’64 220SE coupe. On the 2nd of June 2019 Garry and Ken plan to take on the Peking to Paris Motor Challenge. A challenging 36 day rally covering thousands of kilometres. Based on their experiences with the car in the Inca Rally, Garry and Ken made a priority of enhancing the drive train of the car. Firstly they required an engine with carburettors rather than fuel injection. During the Inca Rally they were unable to work on the fuel injection when they ran into fuel issues which affected the engine. The simplicity of carburettors means they can strip and rebuild them anywhere should they run into fuel quality or contamination problems again. Apparently this is quite likely to happen given the ‘off-the-beaten-track’ nature of this rally. Secondly they required a manual gearbox. The manual box will give them better control on racetracks, gravel roads and in the mud, which they are expecting plenty of during the Siberian leg of the rally. Of course there are other benefits to having a manual box, namely the ability to push start the car and also the ability to rev up and drop the clutch if necessary. 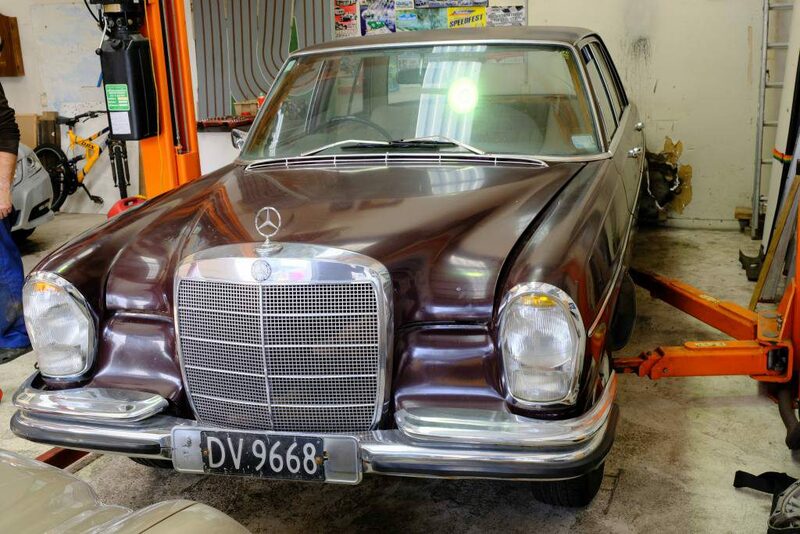 Luckily for them they found both of these requirements not too far away, in a 1968 W108 280S which they purchased from well-known Mercedes parts supplier Kevin Rush of Startech Enterprises. There are strict rules governing modifications to cars that are entered, luckily this engine complies with those rules. 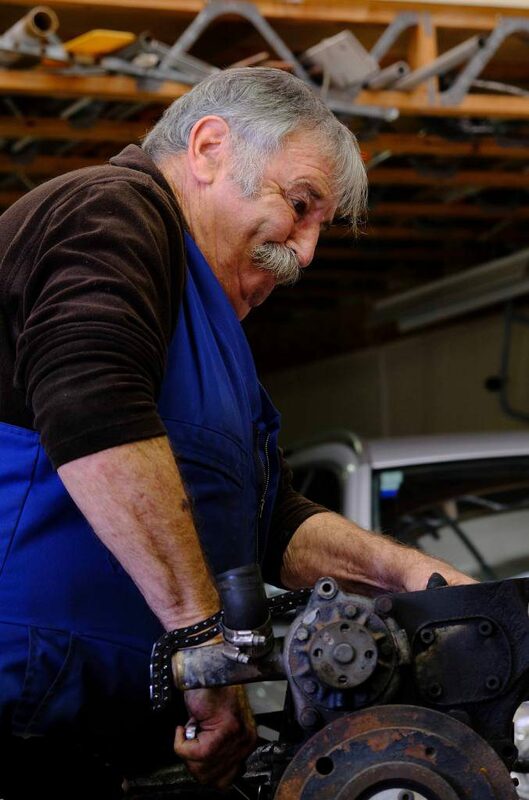 As Ken put it – “It is as young as it can be, to be as old as it has to be.” The bonus of having a bigger engine means they gain a small increase in power and torque – “That will be nice,” says Ken with a cheeky grin on his face. What car bloke doesn’t want more horsepower and torque, right? The manual gearbox removed from the donor car is a column change which will be converted to a floor change before being installed into the 220SE coupe. The differential was also removed and will be refurbished before being fitted to the 220. Naturally Garry is keeping all of the original parts so the car can be returned to the way it came out of the factory, 54 years ago. The 16th of May 2018 was ‘day one’ of their preparations for the Peking to Paris. First up was removing the engine and gearbox from the donor car. Then came a complete strip down of the engine in preparation for a complete rebuild, including new pistons and a rebore. 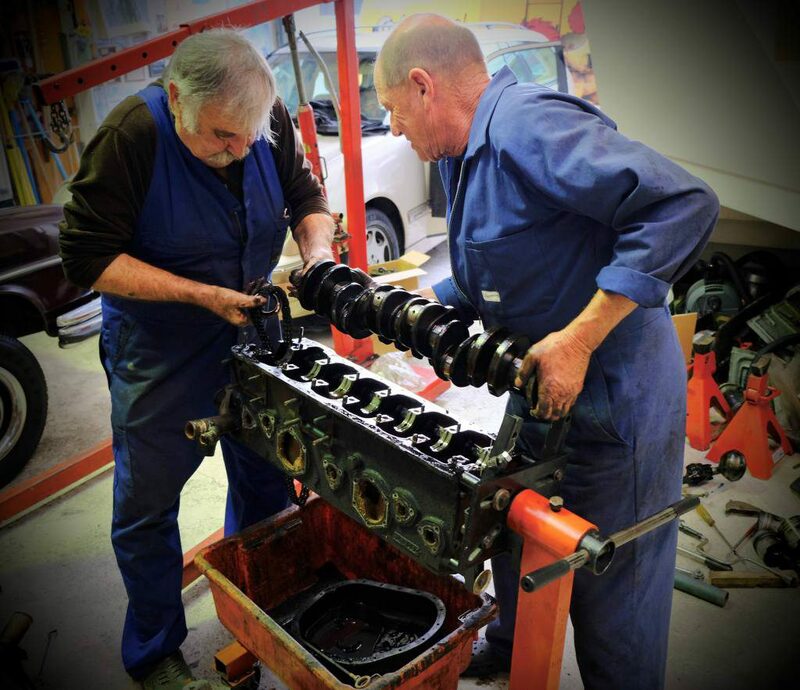 Garry and Ken are undertaking much of this work themselves so that they have an intimate knowledge of the cars inner workings. This will stand them in good stead should they find themselves broken down on the side of the road in the middle of Mongolian plains. It was fascinating to watch the physical effort involved in this process. All manner of wrenches, sockets, spanners, screwdrivers, hammers and pliers were required. More than once a water pipe was utilised on the end of a tool to exert extra leverage on stubborn nuts and bolts, untouched for over fifty years. Their hands blackened from oil and grease, veins bulging and faces turned red from the effort, you could tell they were both in their element. So that was day one, still over 365 to go. 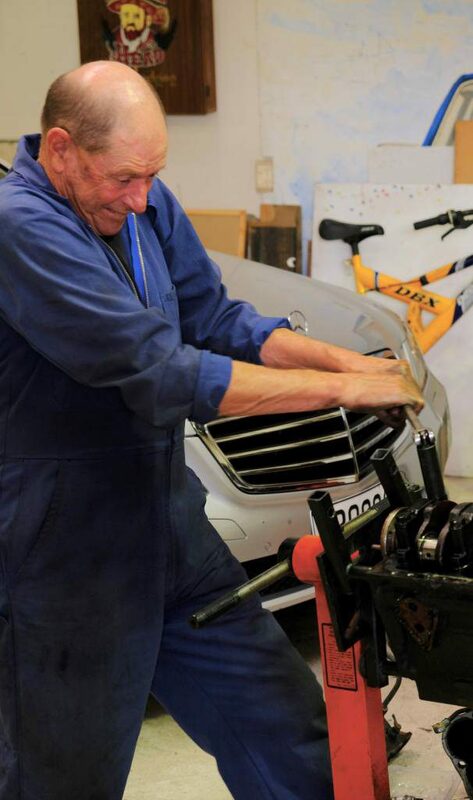 I suspect time will fly and then time will drag for Garry and Ken over the next year as they continue to caress and curse the Mercedes in preparation for her next adventure. If you should run into Garry or Ken, look at their hands. There will be scratches, even the odd sticking plaster. 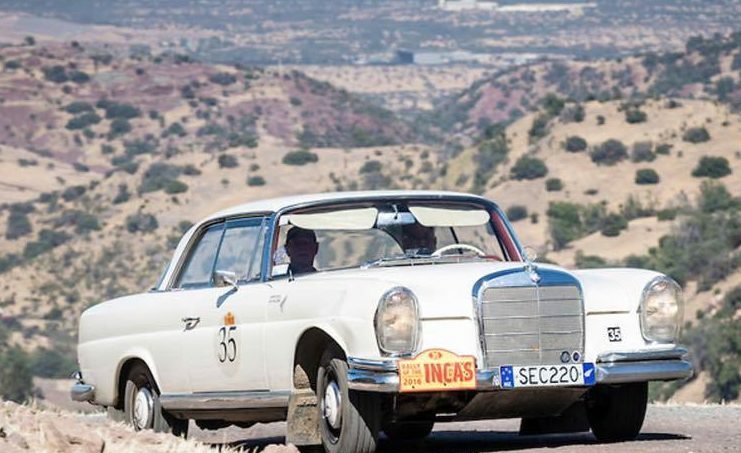 But mostly there will be oil and grease stains, ingrained, part of them, part of who they are – Mercedes men.